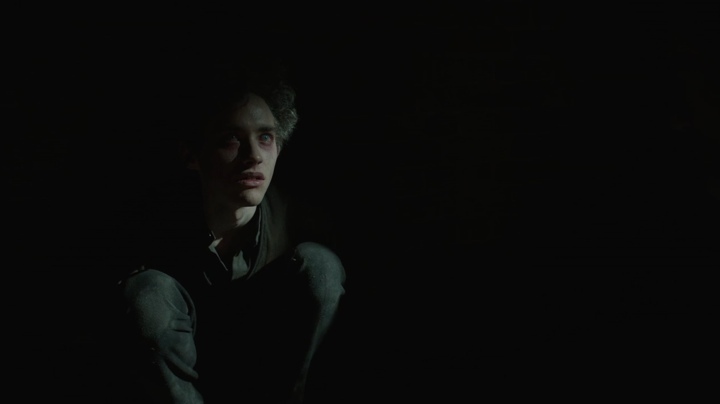 “Penny Dreadful” is one of the darker dramas that have graced our TV screens this year. 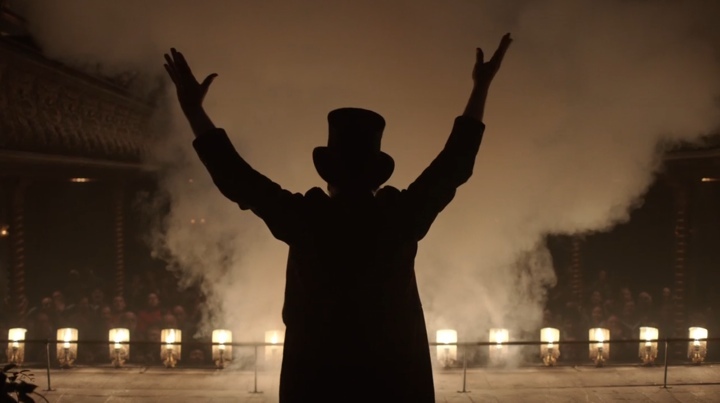 Bringing together fictional characters from the Victorian and Edwardian literature, it weaves their origin stories set back in the haunting atmosphere of late 1800’s London. Owen McPolin is the cinematographer who shot four of the eight episodes in the first season of the show. In this interview he talks about the overall structure of shooting episodic television, creating a unified visual experience throughout the show’s arc while still allowing for individual artistic freedom of expression, the ambitious scope of quality of modern episodic TV productions, advances in digital equipment and how he sees the craft of cinematography evolving in the world of computer-generated media such as video games and animated movies and the increasing collaboration of cinematographers and visual effects supervisors. The second half of the interview delves deep into the details of “Penny Dreadful”, talking about researching the era and picking correct lighting, choosing techniques to convey suspense and fear and various aspects of this globe-spanning collaboration that encompasses facilities in Canada, US and Ireland. Kirill: Please tell us about yourself and how you got into the business. Owen: My name is Owen McPolin. I’m from the West of Ireland, and I’ve been working professionally in the industry since 1996. I was educated in Ireland, but I did most of my third-level education in film in the UK after which I returned to Ireland where I’ve been working mostly in TV Drama, shorts and smaller budget pictures. Kirill: How does it usually work for you on episodic TV since you don’t get to shoot all the episodes for the whole season? Owen: The structure of the industry here tends to dictate that. You would have a lot of dramas where certain DOPs [directors of photography] would shoot certain blocks. Sometimes you have leapfrogging DOPs who shoot the first pair of episodes, then the third one and then the final pair. Or you may have a situation where you do the second and the fourth blocks. Or there have been occasions where you do only two episodes of a 10-episode season. It depends on your availability and on what you’ve committed to before. People tend to like to pair a DOP and a director in the UK, particularly on block structured series. 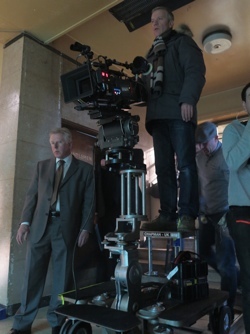 So if the director leapfrogs, so does the director of photography. That way they can prep alongside, and then shoot together, and then go together into another prep or editing, as the other pair come into their block. That way there’s no discontinuity in production. Kirill: How does this approach work on productions that tell a longer story throughout the whole season, or even across multiple seasons? You can’t really watch each episode as its own thing on such shows. Owen: That comes down to the tone of the piece as it’s set at the beginning of the production. There would be a basis by which you approach the piece. If there’s a certain location set up, or a certain story arc or a certain character, you would tend to follow the grammar that you would’ve applied at the beginning for that location, the character or any given scene. It’s episodic in nature, and you normally return to certain hero locations, hero situations, hero characters. Even though you have individual creativity as the DOP which would change and inform your approach, the overall feel of the project is already set up and you would tend to follow that, to use that as the jumping point for your own approach. There’s always going to be nuances and changes to the approach, but nothing ever too radical that would get you out of the world. Kirill: And besides the first pair of director / DOP, there’s a lot of decisions done by the show creators. Owen: Indeed. The creators and the producers, along with the production designer and the costume designer would start to create the idea of the world that you’re trying to capture. All the base elements are there – the sets, the colours, the tones, the costumes, the approach about how to move the camera or not. Those decisions are made earlier on. When that structure exists, you enter that world and you capture it by your interpretation. The variables are set to a certain degree, but how you interpret a certain screenplay photographically with the same set of ingredients is up to you. Producers and creators generally engender encouragement to the DOP to find a different way. They might say that they like what came before, but they want you to prove it, to change it a bit, to say something else, to offer them something in that scenario. Kirill: So that’s the ongoing dialog of what you can do within the restrictions of the given grammar. Owen: Exactly. You still have the same grammar and the same vocabulary. But everyone speaks a language in a different way, everyone tends to make interpretations in a different way, and everyone tends to approach things differently. Some DOPs would use a certain type of lighting that they would use as their base approach, and then they’d expand on that. And others start by throwing all the elements away and starting from scratch. It depends on the individual. Kirill: That would also depend on the contents of the specific episode. For example, something like a flashback telling the back story of a certain character would give you more freedom to explore. Owen: In that case you’re setting up a new world in the preexisting world. You have utter freedom, albeit within the confines of the story, to do a different visual approach. You discuss your idea with the director and the production designer, producer etc., and you ask what do they feel would suite that particular story. You’d make suggestions on the basis of your approach. I always find it’s better to show and articulate something yourself, and then you get to see whether others like it or not, to get a sense of their taste. Kirill: How much time do you have to explore and present your ideas for a specific episode? How do things work when you’re assigned the last block of the season? Owen: In my experience, normally I would have a good length of time to prepare. So if I have 5-6 weeks to shoot a block, then I would have 3-4 weeks of preparation. Usually all the episodes are shot sequentially, unless there are some scheduling and availability reasons. When you shoot sequentially, you have the predetermined beginning of the season. So if you’re shooting the last block, you can create the visual arc of where your destination is going to be, you know where you’re going to land visually, how the story is going to tie up, what you’re trying to create. Sometimes you don’t have that luxury because you don’t have the final scripts, or you might not know that you’re returning for the final block. The best you can do given the circumstances is to concentrate on the block and the episodes that you definitely know you’re going to be doing. Kirill: Do you get the scripts or the dailies of the episodes that are done before yours? Owen: Normally I’m given both. I would be given access to the dailies, and I would be given access to the screenplays. This way I know where the characters are coming from, their story arcs, and also where they’re going to. And when the next director of photography comes on, you’re given access to his dailies and vice versa. Then when you return to the show, as I’d be doing with “Penny Dreadful” in a couple of months, I know where I’m coming in the timeline of the story. I know where I fold or dovetail into. If there’s been a major storyline departure, I need to know where I have to be, as it might not be a direct continuity of where I’ve left it. Kirill: How is it to go back to a production that you’ve already been on? Owen: It’s always great to go back. There’s always something new, and you have the hindsight of experience in the approach. It can also be difficult since I always try to find a new way to approach it. The store is moving and you want to keep it fresh, but also to keep it within the realms of the established world. You’re trying to find a very fine balance between what we know what was successful and what worked, and also improving it without disturbing what was good about the show. You want to move on and develop it without messing it up too much, without making a retrograde step back. It’s a fine balance, really. You might think that it is a very narrow field that you can move around on, there is a lot you can apply to the show and the look and the feel within the overall structure. Kirill: Especially now that viewers expect higher standards of cinematic quality to TV dramas. Owen: Production values have really come up across the board in TV. The scope and quality of writing that has improved and become far broader and more ambitious. Also people are consuming television in a far different way than they used to in the past. People who would have in the past not considered TV have now discovered that the medium can provide a much bigger canvas and timeline to explore stories with far more creative freedom. And there are more people who are consuming that content on TV – when and how they want it. There are so many platforms that can deliver TV to you – from Apple TV to Netflix – and this encourages broadcasters to produce high-quality television long form drama. And as a result it gives DoPs and Directors similarly larger scale stories to tell. Kirill: It would appear that the middle tier of feature drama has been hollowed out almost completely, and that both creators (directors, writers, producers and crew) and actors are moving into high-quality episodic television. Owen: It’s also the delivery of the quality programming. The debate is starting to enter the productions that I’m working on whether productions should jump from HD to 2K to 4K. And Netflix and distributing full-resolution 4K / Quad HD to your living room (for a small additional fee I gather) raises the bar in terms just the scale of the image compared to what was in your living room before. The technology is facilitating that, as well as the disappearance of the middle tier of cinema. Movies in the $5-10M range are not being made anymore. There will always be a low-budget movie culture, but there’s a gap opening between $200M movies and $5M movies. And there’s nothing in the middle. Television seems to be filling that gap with that quality for those mid-budgets for a bigger audience, so of course they’re going to do it. There’s demand for it. Kirill: Hoes does that have any effect on the equipment you’re using? What would you say happened over the last 15 years from that perspective? Owen: I trained in film. When I started my career, everything was shot on film. Then things began to change. In terms of Digital adoption in Ireland, there was a distinct advantage to cinematographers. We had no laboratory, and therefore our change to Digital happened relatively quickly compared to other European countries. It was also being driven by cost because our productions were of smaller budgets. That meant that Irish cinematographers tended to acquaint themselves faster with the technology, albeit flawed compared to film at the time. It was this early adoption, and it meant that we made the mistakes earlier and we learned a little faster. That’s my instinct on it. The techniques of lighting never really changed radically, but the way you applied lighting to a camera system that is unforgiving towards certain ranges of lighting just teaches you hard lessons. You end up learning how HD reacts differently. How it reacted to human face, to highlights and black levels? Finding out if there was a sweet spot in HD to get the best imagery out of it? And as it has improved, with the rapid advance in camera systems, its kind of allowed DoPs to loosen out and express again. Kirill: And you didn’t need to wait overnight to see how the image was captured. The digital monitor was right there on the set. Owen: You have the immediacy of it, and the flaws of it, and how difficult it was to operate the earlier systems. That made the mistakes that we made that much more apparent, at least for me. Kirill: Then it’s a good thing that high-quality TV drama is happening now and not back then. Owen: I think there’s a link there. As we said, TV has changed hugely even in the last 10 years with the advent of digital. It is linked. You can say there’s a difference, but the only difference, for me anyway, really is that it has afforded me an opportunity to work on those larger scale pieces of TV which, perhaps, I’d ended up working on film, I might not have. It still allows you to practice lighting ideas learned on film to digital, it’s ultimately applying the same ideas. It doesn’t have to be of a different production value because you’re capturing digitally. The ability to shoot digitally affords you freedom to grade live on set, to play back, to use multiple cameras, manipulate the image a little more and more easily. Kirill: And you can shoot for a little bit longer. Owen: Yes. However, there’s nothing like film to teach you the sacrosanct nature of the take, and the focussed concentration it takes everyone in getting that one good take. If anything, digital might have afforded us more takes, but TV has afforded us less time in getting it. Kirill: Going back to your comparison of the capturing quality of early digital, I still see filmmakers such as Christopher Nolan or J.J. Abrams vowing to “keep film alive”. Do you see significant difference with the latest advancement of digital image capture equipment? Owen: It’s sad really, because the last time I shot a feature film on film was in 2004. It was shot wholly on neg, neg cut, answer printed, internegative, the whole thing. Then little by little it crossed over with the advent of DI, Digital projection and then finally, to capture. The argument between film and HD was always moot. But really it wasn’t an argument in as much as it was an evolution. One way or the other, it was going to happen. It really came down to how you wanted to approach it in your own mind. Every cameraman would tell you that all they want to do is to create really good imagery that tells the story. It doesn’t really matter what equipment you have to do it. If the equipment isn’t right for you, you don’t use it. You will naturally gravitate to medium that will tell the best story for you, that will look the best, will enable the most visual instruments that you can bring to the table. Kirill: But if film is dying, you might not even have that choice anymore in a few years. Owen: But who’s to say that there’s not going to be another emigration out of digital into another medium? Who’s to say that there’s not going to be another leap again that is going to change the way we deal with storytelling? Say, something like full body scan where all the material is created in CG [computer generated] environment. Then cinematographers would migrate to lighting which is based entirely in a simulation. On “Benjamin Button” they’ve captured facial expressions by applying a certain type of paint to the actor’s face, to create a library of every conceivable emotion. Then the face was entirely constructed from that data, from that database of expressions. A lot of staring CG animation features credit big name DoPs as visual consultants. Motion capture is blurring the line between video games and narrative stories. There’s a whole other visual storytelling culture that is happening alongside cinema, which cinematographers might well find themselves being involved with in the next 10-20 years. Kirill: It’s very interesting to me to see that fusion or interaction between art and technology happening along multiple directions, to stand on the sidelines and see things evolving. Owen: And also from the inside, from where I am, I’m always conscious of it. If something looks good, it doesn’t really matter and the image burns into your head. It moved you, or it committed itself to your memory , it captured your imagination – that moment doesn’t necessarily have to be exclusive to a piece of conventional drama. Kirill: Because even there’s no physical camera involved in animated movies or high-budget video games, somebody still needs to decide how it’s framed, lit and shot. Owen: Exactly, because that imbues the drama within that particular genre of imagery. You don’t really have to restrict yourself in terms of Feature Film or TV anymore. The craft that you’ve learned still applies to almost interpretation of the human face, and the emotions that in conveys. If you can light that, if you can show the world within which those characters exist – brilliant. As you say, it doesn’t necessarily have to be with the camera. That’s where it’s interesting. That’s where, I think, we could be going in the future. It’s just interesting to me as a viewer. Kirill: Would it still be called cinematographer or director of photography? Owen: I think so. It can be games or a 3D-rendered environment, and they’re still telling you a story, they’re still bringing characters into a certain environment, and there are still certain elements such as dialog, music, sets, costumes, lighting. All of those things influence the way a cinematographer will approach it, it may not be physical-doesn’t mean it less valid. Kirill: Although you do rely on the visual effects supervisor and his / her crew to bring your vision to life. You’re no longer in control of capturing that image. Owen: In the last few years my liaising with the VFX supervisor has been much wider in its range, far more frequent and also far more symbiotic during both pre-production and post-production. We are both reliant on each other to make sure that the image is as good as it can possibly be, and that goes both ways. Kirill: That brings me to your latest project, “Penny Dreadful” that I wanted to talk about. Jumping a bit forward, how much visual effects are we talking about there? Owen: For that show there is a fair amount of it. 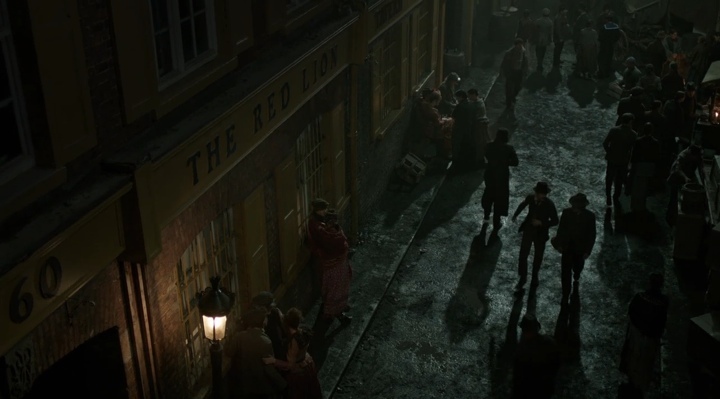 The production is mostly studio-based but there’s always elements even within those streets and outside windows, just in terms of creation of 1890s London. Even when we are on set in a studio or on a backlot, there would also tend to be set extension and world beyond. That’s one level of visual effect which is a standard throughout the show – the extension of the world beyond the windows, as they say, and around the characters and the world that they inhabit. And then there are other levels of effects, everything from gore to creatures to enhancement of physical effects. In relation to certain creatures featured in the show, these are mostly prosthetic creations. When we were in the initial stages of testing we found that even though there is a big sacrifice to pay in terms of time for preparation of those prosthetics, they’ve always had the feeling that they were real and could interact with other performers. It was important to the producers that the show be based in some level of tangible reality. Even though all of the characters are found in 18th/19th century classical literature, it was very important that they be based in a tangible reality. Now that is not to say that visual effects weren’t adequate to do that, but it was the aim that VFX serve and underpin the story not the other way round. Kirill: So that would be the specific decision of the creator of the show or perhaps the producers on how much to capture in-camera and how much to delegate to post-production. As you’ve said, VFX is pretty elaborate and versatile these days. 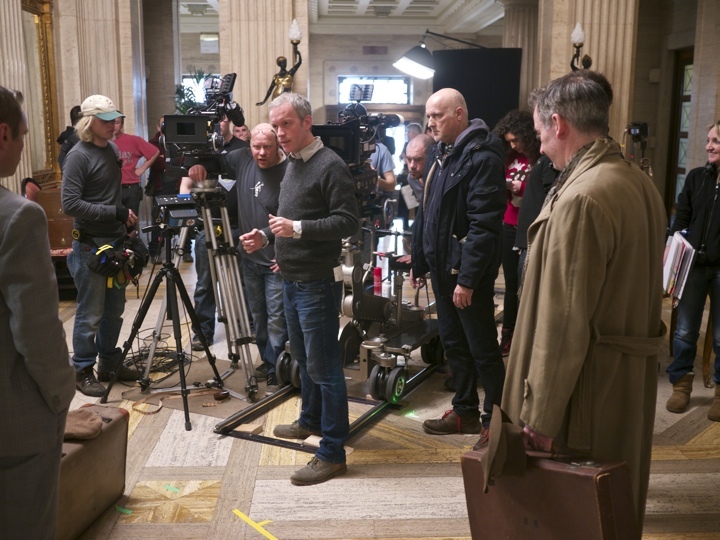 Owen: They are very versatile, and the speed of turnover of effects, even though the show is under pressure to deliver so many effects in a short period of time. Mr. X [link to https://www.mrxfx.com] are the VFX producers, and they have been brilliant in delivering the amount of high-quality level of VFX in the time frame that have to do it. VFX supervisor James Cooper keeps a keen eye on us in principal photography. He and MR X are are developing shots alongside our capturing of the image and I would work a lot with him trying to achieve specific effects that the script demands. Kirill: That also gives actors something real to interact with and react to. Owen: Those are obvious benefits to it in terms of drama, in terms of motivation and what they’re dealing with. But visually I would be always try to take ownership of as much image as you can in order that you don’t lose too much control of it. At least then you know you’ve got it. After that, well, you do your best. 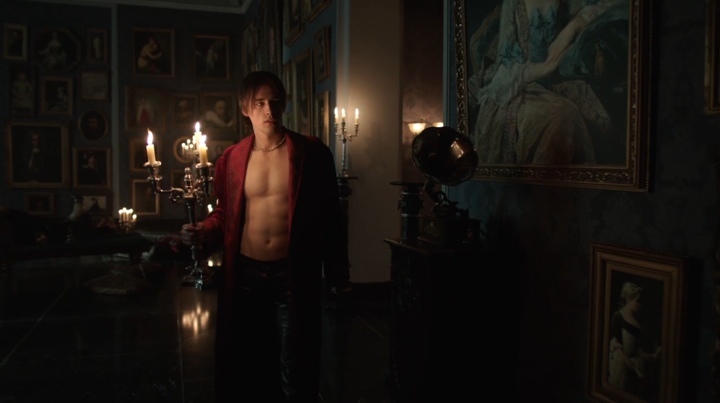 Kirill: “Penny Dreadful” is a dark, visceral show in all aspects – the period, the script, the characters. I’d imagine that creating that immersive atmosphere on the set helps everybody to get into the right mindset or mood, if you will. Owen: It’s great to have the ability to have as much of the set as we have on Penny Dreadful. Jonathan McKinstry [production designer] has built beautifully detailed and large sets on at the stages in Ardmore Studios. It gives us the actual physical space to roam and find angles, to light and to remove light in large spaces so the scale of the show is not lost on the viewer. It’s actually encouraged in myself and others who shoot the show to go as dark as we want that is appropriate to the story and any given time within it. There’s plenty of examples where you can barely see a character unless they present themselves to you in the light. The director I’m working with at the moment, James Hawes, is very interested in using light as a character. For me it makes it very interesting to go into a set and by the time you finish lighting it, it’s actually darker [laughs] than before you started to light it. It’s almost by the extraction of light out of it that it informs us more as to what’s going on with the characters. It’s really interesting because you can play with light in a way that is challenging and beautiful as well. You can create levels of light that on other shows would just not be permissible. Kirill: Do you go and research how London of that time looked like? Owen: I thought a lot about what were the practical sources that were actually present in that period, and how more importantly the level of light put out by those sources that give you the sense of that time. If you measure what actually comes off a single gas mantle its almost shag all really. London at that time was most probably one of the biggest coal-burning cities in the world, and placing all the characters who are wearing dark clothes at night-time is a challenge to say the least. It’s almost like a counterculture of our modern world which is filled with light. You’re doing your best to extract light as much as you can to take every single source that you would’ve used in the past away. By stripping it all back, by going to what was actually there in the past, and then augmenting it to a degree and get an exposure. Kirill: It’s a dark show, not only from the story perspective, but also the visual imagery itself. How deep can you go on a cable show? Owen: The producers have never placed any restrictions upon us in terms of what we show. For example, Dr. Frankenstein’s fascination in the functionality of the human body is more the amazement in which holds the body as a machine, how that machine works, rather than it being a simple portrayal of shocking viscera and gore. The only restriction is really our own imaginations.If it has an underlying fear in the image, then go for it. Try and show that as best as you can. If you feel that it’s almost too much, then do it and let’s see what we can do to temper that. But don’t be held back by what I or anyone else would say to you. Kirill: Did you ever find yourself shooting a scene and finding some elements a bit too repulsive? Owen: There are a few moments in the forthcoming series where I was standing next to Nick Dudman who is the lead Make Up Effects and Prosthetics Designer on the show, and I looked at the particular set in which a rather disturbing scene was taking place, and he looked at me and said “We’re all going to hell.” I smiled and we laughed about it, but the show doesn’t pull its punches and there’s no holds barred. The challenge is to get it across without it being utterly gratuitous and ancillary to the story – gore for gore’s sake. That’s not, and never been, the aim of what we’re trying to capture. 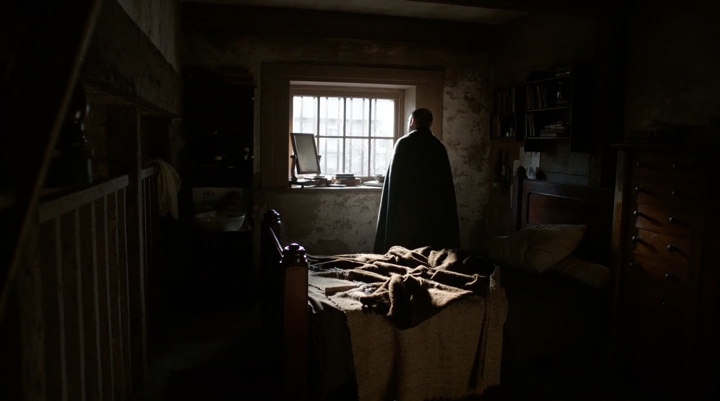 We’re trying to capture reality based in stories that have their roots in Shelley and others’ literature, and all of that literature as far as I can see is based on man’s innermost fears. What we’re trying to do is interpret it as viewers amongst this strange and weird world. There’s something primevally fearful being there and capturing some of these images. It’s fascinating on one level, and on another level you have to hold your nerve. If you go too far however it’s not effective any more. The image has lost its efficacy. Then you have to hold yourself back, to stop for a moment, to think what will convey the writing better than the more literal interpretation. Is there something else we can do to imbue it with the emotion that we’re trying to create, and yet still make it clear as to what’s happening in the image? Does that mean that you pan away, or do you look at something different? Do you look at the expression on someone’s face and then you come back to after something horrible has just happened? Or do you maintain a fixed gaze on the act itself of some horror moment? Kirill: And that goes back to the freedom you have together with your director on how you translate the script into the image. Owen: Exactly. John Logan the Creator of the Show is with us on set all the time. If you can get the semblance of what he really needs from a given scene, what he needs to see – that’s a great starting point. And we can get that very directly by just asking or showing. Is there anything else in the script, is there any sub-text that you’re after and that we should catch? And he’d be very free with that information. Then we discuss it and we’d look at how the scene is blocked, with the director with whom I’m working – we’d create the series of shots that we need to make the scene work. You do your best to find an idea, a nuance, a visual feel. It could be in lighting, in how we move the camera or in how we don’t, the composition or any number of items that you can draw on to make it work for the scene. Kirill: You shoot the scenes for the 2-episode block that you work on, and then it goes to editing. What happens if during that time the show creators or producers feel the need to move some parts into other episodes? That would create a mix between two or more director / cinematographer pairs in the same episode. Owen: It hasn’t happened very often where the structure has changed that much from episode to episode. The writing tends to be very well structured, economic and with clear arrive ideas described. There all written well in advance. My experience of the episodes that I’ve worked on has seen very few changes. Once or twice I found myself where one cinematographer working on another block was unavailable, and yet we were on a certain set to get our scene. So the director that I would be currently working with would be asked to photograph and shoot a scene for another director who has either finished the block or hasn’t come on yet. So we would grab that for them. But that only happened once or twice. Kirill: What’s your involvement in post-production? Owen: On “Penny Dreadful” the post is undertaken in Canada. Normally the post-production supervisor would send me high-res HD compressed video files that I would download, view, make notes of and then return with specific time-code notes to the colorist, Chris Wallace. Then they’ll make a pass on those notes, and then the producers would have a look and they’ll have their notes. An evolution happens into the final grade. You want some consistency in your work. I know there’s problems in the scene, and I would effectively try to level the playing field, to fix whatever trouble it was with color, tone or brightness. I try to nail those first, to get the piece into a level that I’m happy with just in terms of the constant. And then I talk about overall nuance of the piece itself and where it should be going. Is there a certain arc in terms of grade? What is the story to be told there? That’s the next level. And then the colorist would affect those changes, and we’d liaise via email and phone calls. This year I think we’re going to set up a remote grade in London. It’s obviously never ideal, whichever way you look at it, even when you have very high-resolution rushes, a very good computer and a really well-calibrated monitor. It’s never the same as a Grade-1 monitor and a coloring suite. Kirill: Although if you look at high-caliber productions, they are pretty much all in eight to twelve episodes per season range. That way you get to spend a bit more time on each episode. Owen: Indeed. 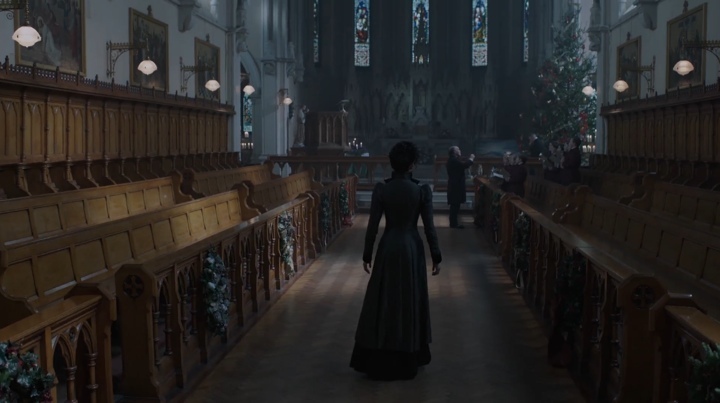 However, with “Penny Dreadful” being shot in Ireland, post-produced in Canada and financed from US and Ireland. Last year we’ve wrapped sometime in the middle of March, and the show started airing in early May. Your episodes are still being colored, graded, conformed, sound-mixed even after the first episode has gone out. Kirill: So with five weeks per block, and you doing four episodes in the first season, you were there for ten weeks. Would you compare that to a feature film, although you shoot four hours of content? Owen: I would go in and out of prep during that period time, and it was spread over two blocks. We still have the same amount of time per episode that we had last year. It’s just that the schedule is structured in a way to have more overlaps between blocks. Kirill: If you look at the episode blocks that you shoot, and the overall season story line, there are the same main sets appearing again and again in almost all the episodes. From the production standpoint, wouldn’t it be more efficient to have one pair of director and directors of photography to do all the scenes on the specific sets instead of partitioning the work based on episodes? Owen: Theoretically that is possible, but practically it mightn’t be fully feasible. There quite a few main characters, so you have a lot of characters over a lot of sets. Because of scheduling, each particular character may be available to us at any particular time, but there’s always times where one character is to appear in multiple sets. And since we have so many characters, that tends to happen a lot. So you’d have one director having to run between the sets with their actors to a different crew. It’s just a little more sensible to have one director with his DOP and their actors following one linear schedule as best as you can. Obviously there’s going to be a few pick ups needed along the way. Kirill: And all the blocks are using the same resources from the art department, from production designer to costume to construction. How does this overlap works? Owen: The rule is that both units cross over, and they all shoot at the studio complex at the same time. 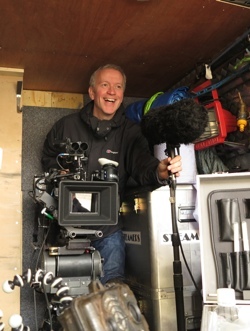 We both draw off the same resources, we double up on crew – two directors, two DOPs, two gaffers, four cameras instead of two. Then when block 1 finishes, it all becomes a single unit again. And then when block 3 starts, there’s the next overlap. Kirill: So that would make it between 20 to 25 weeks where the actors and almost all the crew is there, and only directors / DOPs come in and out of the production. Owen: You kind of jump onto a moving train and then jump off-or fall off. That’s how it works. Kirill: Does that make it difficult for you to coordinate you work on multiple TV productions that you’re involved with during the same year? Owen: It does, although at the moment I’ very lucky. I’ve just come off “Penny Dreadful” episode 1 and 2, and I’m in the UK now shooting “Da Vinci’s Demons”, and I’m going to go back to shoot another episode of “Penny Dreadful” the day after I finish here. That doesn’t happen very often, because dates rarely work as neatly as that. On this occasion they do, and I’m willing to do it. Kirill: It’s certainly a great time for TV productions, and as you mentioned Netflix earlier, it’s becoming a bit hard to draw a clear line between feature and TV productions. There are so many ways to consume them, and so many new things that are being tried out. You used to have episodic television where each episode was its own standalone mini-story, and then you’d have TV mini-series that would tell a larger story in four to six episodes, and now something like “True Detective” is telling a story in one season and then switches to a new story with completely new cast for their next season. It seems that the approach itself to storytelling is constantly evolving and pushing the boundaries. Owen: “True Detective” is very interesting, and I think rather unique. With our show it is more or less the core troupe of actors but with some new arrivals and some departures depending on the story, “True Detective” changes its stripes and colours totally, and that’s a conscious and very interesting decision. What’s interesting about “Penny Dreadful” is that there is such a base of characters from literary horror characters from the 19th century, any number of which could appear on our show at any given time. It’s really interesting, because it’s this whole world you could draw from, pulling these characters together. What would happen if that character from that novel met this character from this novel at this time? Kirill: It’s this interesting mix of an original story and pre-existing characters. Owen: And therefore that pre-existing character is going to come with an entirely new world which could have their own new sets, their whole new costumes, a whole other genre of lighting you try to apply to that world. And then you have an entirely new little organism of light as it were that you’re building into a show that already has a pre-existing structure. That means that it’s always going to be fresh, there’s always going to something that you can build onto the world as the season goes forward. Kirill: Otherwise it’s not going to be very interesting if Season 2 is an almost virtual replica of Season 1. Owen: Trust me, it’s nothing like it [laughs]. Kirill: If anything, as a viewer, I can only complain about the over-abundance of really good episodic content that is being produced. Owen: There’s so much great television there. You really have to choose. You have to be very disciplined in what you want to watch and to make a decision to commit to it. To be honest, I wouldn’t watch an enormous amount of TV. My wife does, and she’s very articulate about what she likes and what she doesn’t. Kirill: Does she like your shows? Owen: Sometimes. But she can is also my harshest critic. I would show her a piece of work and I’d ask her for her opinion. Being an Art Director herself, she’d be cognisant of the look and my involvement in the creation of it, but she is able to be objective nonetheless. If I haven’t done my job well, then it certainly isn’t going to help the story in any shape or form, and if I have, it will help. Kirill: Do you even get to enjoy the story itself if you’re so focused on the more technical aspects? Owen: You do, of course. You’re absorbing it at a different frequency than the story. The only time you notice the bad costumes is when the story is bad. Kirill: Do you have time to block out eight or ten or twelve hours to watch a single season of your favourite show? Owen: If it’s engaging and good, then I will. Also I’m interested in seeing what other people are doing and how are they shooting things. What are they doing? What’s interesting about that piece of work? Why did they approach it like that? What does it look like? Who’s photographing it? It’s a constantly evolving genre-so there is new visual ideas constantly being tried and applied. And I also love watching short films. They are more immediate, and they tend to pick up on the certain nuances in photography and certain ideas that are maybe more new or prevalent. It because they are so immediate. You get a little hook on a visual idea, and you see where it is going. You have trends in coloring, and trends in lenses, and trends in filtration, and you pick up on those. Kirill: As long as the viewers give the money to the studios, the cable companies, Netflix or whoever is going to come up with the next distribution system, you’re good to go. Owen: And also, and it’s important to say this; even though the production was intended to be shot in the UK, there was no studio space left to accommodate it. And that has benefited the Irish economy hugely. And it’s training a huge amount of camera, construction, art department, costume design personnel, a whole tier of people that hitherto have never had access to such a large production as this, and have learned a vast wide array of disciplines in the process of being employed in it. Kirill: A lot of TV productions go to Europe these days. Owen: “Outlander” is up in Scotland, “Da Vinci’s Demons” in Wales, “Game of Thrones” in Northern Ireland, “Penny Dreadful” in the South, and a number of other big American TV productions are coming to the UK and that is a hugely positive impact on all those territories. Kirill: The flow comes the other way as well, from “Downton Abbey” and “Upstairs Downstairs” to “The Crimson Petal and the White”. The digital world is becoming so much smaller that as a viewer I almost don’t care much where it’s being financed, produced or shot as long as it’s a good production. Owen: I think relevant and challenging stories will always attract the viewer. If you’ve got a good story and it’s put together well, you’ll always get committed viewership that will always sustain the development of the medium. 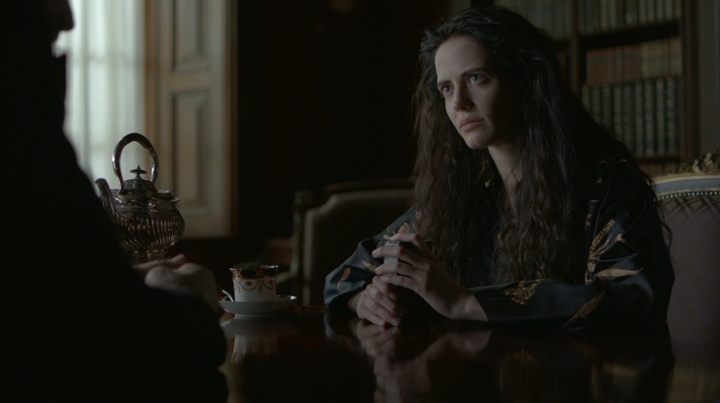 And here I’d like thank Owen McPolin for finding time in his busy schedule to talk about his work on “Penny Dreadful” and for sharing the background material for the interview.